Blacks Gone Geek is run by a group of IT professionals who donate their time and energy for the greater good of mankind. At Blacks Gone Geek our mission is clear: We want to promote career advancement for African Americans in IT. 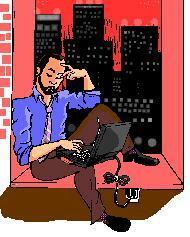 The Blacks Gone Geek Communications Team is looking for volunteers. The Communications Team is responsible for disseminating knowledge and developing Subject Matter Expert (SME) groups, focus groups, special interest groups (SIGs), and knowledge sharing Communities of Practice (CoPs). This includes development and management of communication and promotional strategies and public relations activities. · Manages public relations work and activities to promote Blacks Gone Geek’s mission, services, and products. 1) Learn to work in a fast paced environment. 2) Develop knowledge management and web content management skills. 3) Add professional experience and accomplishments to your resume. 4) Receive a professional recommendation. 5) Potential to sell services to other Office 365 users. If you are interested in volunteering for this project, please send a copy of your resume and a link to your LinkedIn profile to milt@blacksgonegeek.org. Google+ (pronounced and sometimes written as Google Plus, sometimes abbreviated as G+) is a multilingual social networking and identity service owned and operated by Google Inc. It was launched on June 28, 2011. As of December 2012, it has a total of 500 million registered users of whom 235 million are active on a monthly basis. Unlike other conventional social networks which are generally accessed through a single website, Google has described Google+ as a "social layer" consisting of not just a single site, but rather an overarching "layer" which covers many of its online properties. The most followed person on Google Plus is pop star Britney Spears. Check out this new article on Blacks Gone Geek! New ways of sharing, across all of Google. Blacks Gone Geek is run by a group of IT professionals who donate their time and energy for the greater good of mankind. At Blacks Gone Geek our mission is clear: We want to promote career advancement for African Americans in IT. The Tools team is responsible for converting the Who’s Hiring Now spreadsheet into a database format and rendering it on the Blacks Gone Geek website for easy updates. This will be an "intense" and technically challenging project that will require about 5-10 hours a week of volunteer time over a 1-2 month time period. 2) Develop project management and web content management skills. 3) Add experience and accomplishments to your resume. 5) Potential to partner with other Microsoft Cloud Essentials partners and sell services to other Office 365 users. If you are interested in volunteering for this project, please send a copy of your resume to along with you available time commitment to Cynthia Pryor, cynthia_pryor@att.net. I posted a job opportunity on the online network and someone responded. The recruiter told me the person would not be considered because they had typos and grammatical errors in their resume. I know the person who applied and I think I should tell them, but I don't know what to say without hurting their feelings. What should I do? 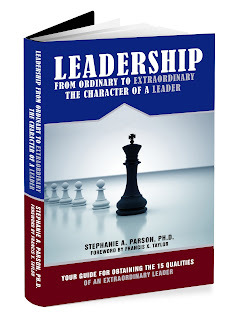 Dr. Parson's new book on "Leadership from Ordinary to Extraordinary" is an extraordinary book. Once you start reading this book, you will be motivated to read it to the last page. When completing the book, I was motivated to go and begin the activities on page 12. This book is an excellent teaching and learning tool for individuals who are graduating from high school, college, or any learning institution, Individuals who are making permanent changes in their life, retiring from the military or civilian jobs, beginning a new job, seminars, and training classes. Dr Parson is a proven consultant, speaker, trainer, author and executive with Fortune 500 global experience in leading teams in the public and private sector. She brings over 20 years of charismatic leadership, executive management and extensive problem solving skills in strategic planning, talent development, program management and organizational change. 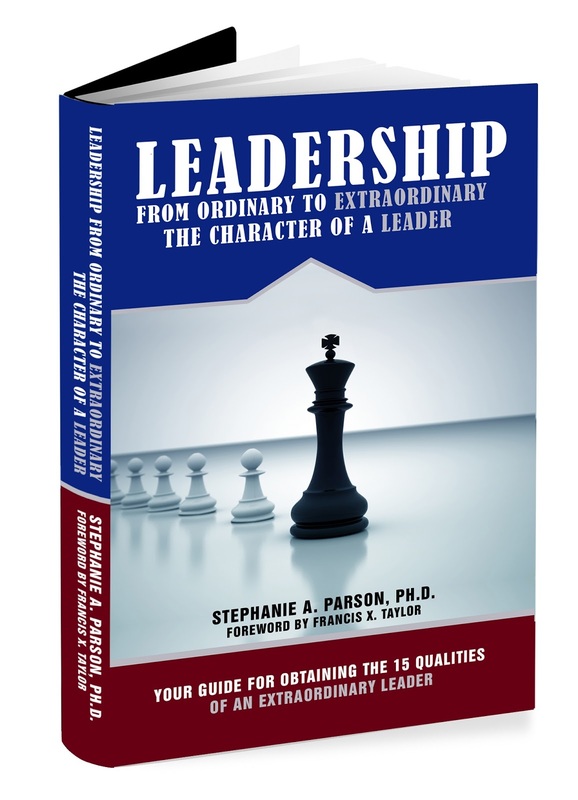 Dr Parson has consulted with agencies surrounding the development of their leadership teams, their strategic direction, technology strategies, business growth strategies, innovation, project management strategies, succession planning and productivity strategies. She has also conducted leadership development workshops, seminars and events for over 7000 individuals within the public and private sector in the United States, Mexico and Brazil. As an executive, she has also provided one-on-one executive coaching sessions to over 400 executives in the public and private sector. Dr Parson’s background includes roles in executive coaching, professional coaching, executive management, strategic planning, training and development and program management within Fortune 100 companies. Prior to creating Crowned Grace she served as a Vice President at Walt Disney World, where her duties entailed day-to-day operations of the strategic planning process, research and development, fiscal planning process, procurement, Program Management Office, Training and productivity improvement. Dr Parson’s other leadership experience includes serving as a Vice President and Chief Information Officer for Parsons Brinckerhoff Inc, one of the world's oldest continuously operating engineering firms; ranked number one in transportation engineering and has major practice areas in energy, power, aviation planning, environmental and facilities engineering from over 200 offices worldwide with over 8000 employees. She also led a global staff of 112 professionals for new development and ongoing support for Seagram Spirits and Wine Group. Dr Parson is also a military veteran, having served as a decorated officer in the United States Air Force prior to entering the corporate sector. Crowned Grace works with its clients to develop, groom and empower their leaders by ensuring a strategic focus on the organization's overall vision. This includes, but is not limited to: People Transformation, Technology Transformation & Business Transformation! 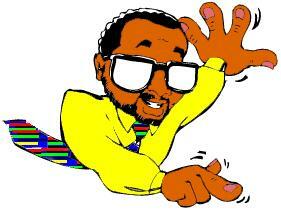 Blacks Gone Geeks Readers Poll - Who’s Hiring Now? - Last Call! The current job market statistics shows a jobless rate of 7.9%, yet the same statistics state that in the Information Technology community the unemployment rate is only at 1.9%. How can that be? Blacks Gone Geek is an organization that promotes awareness to the African American community by providing a forum where they can share and exchange knowledge within the Information Technology Industry. Blacks Gone Geek has created this 5 minute survey to help connect people with jobs. This job posting information will be used to update our “Who’s Hiring Now” report. It's your opinion that matters. So, if you could please participate in the survey at the link below, Blacks Gone Geek can continue our tradition of helping African Americans in IT to excel in this challenging job market. Many people place importance on their career. They want to have a comfortable living, make use of their talents, and make a notable contribution in their field of work. We all have the common career goal of achievement, yet most of us do not have the results we desire. Why? With the age of information, we have access to the tools and training we need to reach the desired destination. We have access to mentors and networks that can share valuable wisdom and advice. Yet there is a sense of frustration with lack of progress. People are unhappy in their jobs, but feel stuck. People are unhappy with their title, but have no plan of action to change it. If you are disappointed with the direction of your career, it can usually be mapped back to a question. A single question, yet a powerful one. Questions are often an underestimated tool for growth. A good answer to a powerful question can illicit a response; one that can cause a mind shift, which leads to a change in action, and a change in results. The most valuable question for career advancement is…..
What is your next career move? How you answer this question can shed insight into the current state of your career. When I ask this question, I usually get the following responses….. I want to move into leadership, but I am not sure if I want to deal with personnel problems. The problem with that statement is that it is conflicting. Any leadership position will have you working with people. Mentally you will subconsciously hold back on your own goal because of conflicting thoughts. What happens in this case? Your thoughts cancel each other out and no results are gained. I want to be promoted with my current company, but I do not like the direction that the company is going in. Another conflicting answer. Your goal is promotion, but you are not aligned with the company vision. It is like saying I want to go to the Olive Garden restaurant, but I do not like salad. Your mind will be confused, and a confused mind does not achieve desired results. One of the most common responses is “I do not know my next career move”. That response indicates that you either have a job that pays the bills and you are content with that status, or you would benefit from some self-reflection/self-discovery work to determine your next career move. In order to confidently answer what your next career move is, it requires some self-reflection. You have to really sit down and think what you want in your next role, why you want it, and mentally commit to your decision. Any wavering will delay progress. A person that is confident, aware of what they want and why they want it will surpass someone who is undecided. Engaging in a self-discovery exercise is critical to understanding and choosing a career path that is right for you. Invest in the time to research your strengths, wants and desires. People will be willing to help you achieve your goals if you can give them a clear vision of your future. Jewels Bolden is a profound believer in the journey of self-discovery. She has dedicated herself to helping others find their own paths. If you’d like to work with Jewels, please check out her workshops and speaking opportunities, view her coaching services, or contact her directly to learn more. Sears pushes the cutting edge with some big data techniques, while trying to sell its big data services. Can emerging tech drive change in old-school companies? Like many retailers, Sears Holdings, the parent of Sears and Kmart, is trying to get closer to its customers. At Sears' scale, that requires big-time data analysis capabilities, but three years ago, Sears' IT wasn't really up to the task. "We wanted to personalize marketing campaigns, coupons, and offers down to the individual customer, but our legacy systems were incapable of supporting that," says Phil Shelley, Sears' executive VP and CTO, in a meeting with InformationWeek editors and his team at company headquarters in suburban Chicago. Sears' process for analyzing marketing campaigns for loyalty club members used to take six weeks on mainframe, Teradata, and SAS servers. The new process running on Hadoop can be completed weekly, Shelley says. For certain online and mobile commerce scenarios, Sears can now perform daily analyses. What's more, targeting is more granular, in some cases down to the individual customer. Whereas the old models made use of 10% of available data, the new models run on 100%. "The Holy Grail in data warehousing has always been to have all your data in one place so you can do big models on large data sets, but that hasn't been feasible either economically or in terms of technical capabilities," Shelley says, noting that Sears previously kept data anywhere from 90 days to two years. "With Hadoop we can keep everything, which is crucial because we don't want to archive or delete meaningful data." Sears says it has surpassed its initial target to reduce mainframe costs by $500,000 per year, while also delivering "at least 20, sometimes 50, up to 100 times better performance on batch times," Shelley says. Eliminating all of the mainframes in use would enable it to save "tens of millions" of dollars, he says. Shelley is still CTO of Sears, but if his portrayal of all the things Hadoop can do sounds a bit rosy, keep in mind that he's also now CEO of MetaScale, a division that Sears is hoping will make money from the company's specialized big data expertise. The rarest commodity that MetaScale offers is Sears' experience in bringing mainframe data into the Hadoop world. Old-school Cobol programmers at Sears were initially Hadoop skeptics, Shelley says, but many turned out to be eager and highly skilled adopters of the Pig language for running MapReduce jobs on Hadoop. Tasks that required 3,000 to 5,000 lines of Cobol can be reproduced with a few hundred lines of Pig, he says. The company learned how to load data from IMS (mainframe) databases into Hadoop and bring result sets back into mainframe apps. That's not trivial work because it involves a variety of compressed data format transformations, and packing and unpacking of data. Would-be MetaScale customers in other industries will face different challenges as they consider embracing Hadoop. Could quick analytical access to an entire decade of medical record data change how doctors diagnose and treat patients? Could faster processing spot financial services fraud more effectively? Companies are focused on choosing and building out the next-generation platforms that will handle those big data jobs. Will Hadoop be that platform, and will Hadoop help turn MetaScale into a successful pioneer? That's a story that has yet to unfold. Special note to Blacks Gone Geek readers. I'm featuring this article because I'm working at Sears where I first heard about Metascale, a Sears company. MetaScale provides best-in-class, technology-managed services and solutions to enterprises that are looking to unlock the potential in their data without the time, cost and complexity associated with traditional big data initiatives. Let me know if you want to connect with the folks at Metascale. We developed roles and responsibilities for 4 teams, 1) Authoring Team, 2) QA Team, 3) Tools Team, 4) Communications Team. If you can't meet on Wednesday evenings and you still want to participate, you have an opportunity to participate on one of the teams. We also developed a plan of action for our first project. We will survey the online community and update the Who Hiring Now Reports. http://www.blacksgonegeek.org/Pages/WhosHiringNow.aspx. ITIL Knowledge Management aims to gather, analyze, store and share knowledge and information within an organization. The primary purpose of Knowledge Management is to improve efficiency by reducing the need to rediscover knowledge. The Knowledge Manager ensures that the IT organization is able to gather, analyze, store and share knowledge and information. His primary goal is to improve efficiency by reducing the need to rediscover knowledge. I’m looking for knowledge managers, project managers and business analysts to migrate the BGG knowledge repository (aka SKMS, see definition below) to the Microsoft Office 365 Enterprise Edition platform. By working on this project you will not only learn new skills in knowledge management, you’ll also gain valuable work experience that you can add to your resume. If you’re interested in gaining expertise in knowledge management, let me know. It’s a good field to pursue as I’m already getting calls from headhunters looking for experienced knowledge managers. 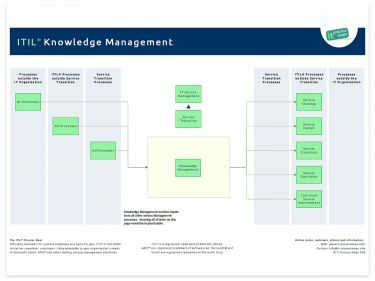 Service Knowledge Management System (SKMS) The Service Knowledge Management System (SKMS) is the central repository of the data, information and knowledge that the IT organization needs to manage the lifecycle of its services. Its purpose is to store, analyze and present the service provider's data, information and knowledge. The SKMS is not necessarily a single system – in most cases it will be a federated system based on a variety of data sources. Since I've been working as a Knowledge Manager, I have a new found appreciation for the power of knowledge. So what better way to share with the community than by working with Blacks Gone Geek (BGG) volunteers to apply ITIL Knowledge Management principles? Milt has been with BDPA for over 20 years. In the past, he was elected to leadership roles as BDPA Chicago Chapter President and National BDPA President. Milt currently serves as the CIO for National BDPA. As CIO, Milt is responsible for the technology infrastructure and for linking technology to internal strategy. Milt has received over 25 awards and honors at the local chapter and National level including the most prestigious National BDPA Outstanding Chapter President Award, Outstanding Contributor Award, Member of the Year Award, President’s Award, Service Award and the Spirit Award. Finally it is worth noting that Milt is the founder and chief architect for an online advocacy group known as ‘Blacks Gone Geek’ www.blacksgonegeek.org. You can hear archived shows if you like from this URL - http://www.bdpa.org/?page=BDPAiRadio. On Saturday, August 25, students in the 6th to 12th grade were invited to attend the NAACP Youth Works Program’s 2nd Annual College Readiness and Scholarship Fair sponsored by Naperville School District 204 at Neuqua Valley High School in Naperville. I attended the college fair with my 15 year old daughter and picked up a lot of good information including a book called “Voices” African American and Hispanic Students’ Perceptions Regarding the Academic Achievement Gap, a newly released report on attitudes toward ongoing differences in school performance that show correlation to race and ethnicity in DuPage County. According to the 2011 Illinois State Report Card, 85% of White and 9% of Asian third grade students demonstrated reading proficiency on the 2011 Illinois Standards Achievement Test (ISAT) compare to only 61% of Hispanics and 61% of African Americans. Educational leaders are aware that performance gaps have existed between African American and His panic students and their White peers since the inception of standardized testing. The book offers 25 findings and 27 recommendations. Check it out if you want to do something about the performance gap. There's an interesting discussion going on at our LinkedIn Community. I'm new to the IT Field, I Graduated from college two months ago and I am having a hard time finding a IT job because of my lack in experience. I appreciate any advice I can get. Thanks again. Kudos to whoever blew the whistle on the US Olympic Committee and Ralph Lauren for outfitting the US Olympic team with uniforms "Made in China". It's hard on a brother nowadays to scratch out a decent living in IT. Chances are you know of someone who has been impacted by IT work moving offshore. With all the offshoring competition (e.g. TCS, Cognizant, Infosys), folks are having a hard time breaking into IT and staying competitive. Here's a quote I wrote ages ago that still applies today. 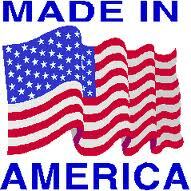 We're rewriting the value proposition for BGG Consulting Services and I'm going to make sure we include a big "Made in America" banner. That's what Blacks Gone Geek is all about, promoting African Americans in IT. At Blacks Gone Geek we're looking for ways to put folks in America to work. If we don't hire our own, who will? I have some good news to share. I’ve been invited to speak at the ITSMF 3rd Quarter Symposium held in conjunction with the BDPA Conference on Friday, August 3rd. I will be presenting to senior IT executives and BDPA conference attendees on the theme “Transforming the IT Workforce”. The objective of this workshop is to inspire senior IT executives to use innovative techniques to find top talent so they can "transform their workforce" to meet the growing demands of the future. My presentation will offer a unique perspective, from the outside looking in. It’s an opportunity for me to share the survey results from the 2012 IT Job Outlook - Blacks Gone Geek Readers Poll in an intimate setting. My presentation will promote dialogue and discussion on what senior IT executives can do to develop their workforce to better meet the needs of the business. Did you know that today there is a talent shortage? Yes, it’s true. Ask any IT executive how difficult it is to fill jobs that require unique skill sets and you’ll see what I mean. From the bottom to the top, good talent is hard to find. And companies are no longer in a position to hire second best or train "near fit" candidates for a job. New hires have to hit the ground running in order to be productive from day one. Agile methodology is HOT because time to market has to be FAST. Big companies and small companies alike have to be quick and nimble in order to out pace their competition. How can senior IT executives transform their workforce to meet the growing demands of the business? There is no easy answer, but one way to do it is by looking from the outside in. In other words, don’t just look at the positions you have open at the moment, look at the external talent pool and figure out ways to grow your bench outside the company instead of carrying your bench inside the company on your payroll. We will explore this theme further at the symposium, but why wait until then. Send us an email or leave us some comments to share your thoughts today. If you’re on the outside looking in, what advice would you offer to senior IT executives looking for innovative ways to transform their workforce? Today, users are more technologically savvy than ever. Moreover, the democratization of technology has resulted in end users having very different expectations of their IT departments than in the past. Usage and tastes have been influenced by dramatic developments in networking capacity, media streaming, data processing, and the Internet, to name a few. Along with these developments, IT faced its own set of challenges and obstacles that it has had to overcome. For example, the consumerization of IT is just one model where IT departments are at the forefront of creating a bridge between mobile device usage and the corporate business world. In many respects, the door has already been opened, and mobile device use is effectively a factor in many of today's business environments. The challenge for IT has been how to become a multi-pronged technology enabler instead of simply a restrictive support service. Technology trends such as these show no signs of abating, and IT administrators need to be prepared. Having a well-rounded and versatile team of IT practitioners is becoming increasingly necessary. In the following article, we examine five key skills that every IT department should have covered, regardless of the size of the company. It's interesting to note how this skill that might normally fall under production or administration responsibility is now considered essential for IT. For example, when you consider the number of advanced projects that IT has had to undertake, from virtualization implementation and cloud integration to storage increases, Disaster Recovery (DR), and Unified Communications (UC), the need for this skill is understandable. Every one of the new technologies IT is expected to implement consists of many complicated moving parts with hard deadlines and benchmark targets that have little room for compromise or failure. When you consider that most if not all companies will expect normal business functioning during implementations, the need for precise, capable scheduling, prioritizing, and goal-setting is understandable. IT project managers, or IT team members who possess this skill, must have an understanding of the business on a larger scale as well as thorough knowledge of the IT world. IT is the locus for technology development and the complex technical initiatives companies undertake. Having competency in this skill set will be in great demand as companies continue to upgrade their technical environments to keep pace with new innovations as well as with their competitors. Malicious software, Distributed Denial of Service (DDOS), cyber attacks - these represent the reality of corporate computing today. Moreover, IT professionals must always be aware of internal security issues, from the mundane to the complex as well as understanding the vulnerabilities within their own networks, from operating systems and servers to basic hardware and cabling. While it's good to specialize, it's obvious from the breadth of these examples that having knowledge and capabilities across a broad security spectrum can make a difference in any IT department. A few of the valuable security skills include expertise in identity and access management, threat/vulnerability assessment, encryption, data loss prevention, incident analysis, governance, compliance and auditing, biometrics, and Web content filtering. Today, it's increasingly common to outsource the more technical and sensitive areas to security specialists, but it's also important to pre-empt attacks and possible data loss with in-house capabilities. In terms of security, IT must have the necessary ability to make good decisions about the security portfolio, and this requires a certain level of security competency in some, or all, members of an IT team. Virtualization means converting multiple physical servers to virtual machines (VM). This experience and the ability to convert non-virtualized environments into virtual ones is closely tied to networking abilities. When you partition one physical server into several VMs, you can deploy, operate, and manage multiple operating system instances at once on that single physical server and, consequently, save on a variety of costs. Some of the related skills that are important to have in this area are server maintenance, application development, storage allocation, and security. In terms of cloud computing, a primary goal is to reduce the cost of computing resources while increasing system flexibility and scaling. During and after cloud implementation, there are a number of skills that are invaluable. These include scaling expertise which requires a unique ability to design and implement cloud-scale applications. A master integrator skill enables one to build best-of-breed hybrid solutions that consume elements from many different sources, both public and private clouds. Another key cloud-based skill is Application Programming Interface (API) knowledge. Designing or implementing an API is part science and part art, and highly specialized. Anyone with this skill would be a solid addition to an IT team. Finally, skill as an automation wizard means having familiarity with the design and implementation of automated systems. To fulfill the ideal of fast access to cloud services, automation is crucial and so is the ability to work with these systems. Any complex datacenter lives or dies on the efficiency and dependability of its data network. Failure of a physical server, connection, switch, or router can be very costly when it disconnects end users, automated factory floors, or online retail operations from vital IT functionality. All of this increases the need for strong network management which provides vital information for planning and testing healthy networks and the environments they service. The amount and type of network traffic can provide important clues as to the kinds of hardware and software necessary to run an operation efficiently. The ability to knowledgeably choose the correct hardware, implement connections, and work with the software are highly specific skills. Network administration covers a broad spectrum, but a solid understanding of TCP/IP, DNS, and related technologies (i.e., load balancing and NTP) are key. It seems that because of the volume and speed with which companies are adopting new technologies such as virtualization and the cloud, hands-on practical networking experience is preferred by hiring managers over certifications. IT plays an extremely valuable role in business. As overall data levels rise, business intelligence and data warehousing skills that enable professionals to gather and effectively analyze increasing amounts of data from various streams are also in demand. Moreover, instead of just focusing on cost savings, companies are investing in technology that provides access to, and analysis of, real-time data, enabling better business decisions. This move from process-centric to data- and memory-centric computing is already having an impact on current computing trends. IT is expected to adopt a completely new approach to understanding data sets. Team members will be expected to possess new capabilities to perform fast, efficient data analysis. It will also require new hardware and software implementation skills as well as the ability to run and maintain them. Today, business analysis, data mining, and modeling capabilities are highly valuable skills to possess in any IT department. For example, conceptual modeling of the business view of the solution is a critical tool to help bring business, technology, and delivery groups together in defining solution scope. In addition to an ability to communicate details and concepts, critical thinking and sometimes system thinking are also key. These mean taking something large, ambiguous, and abstract and breaking it down into smaller pieces, patterns, and views within a business context. Finally, focusing on risks to the business value of the solution and communicating that risk to shareholders is another vital skill that IT team members need to have in regards to performing effective business analysis. The current job market is super competitive, but the rewards are great. We continue to evolve and adapt as a people and that is why we prosper. We refuse to get left behind. If you’re looking for a job or your next career move, there are some things you need to know and some things you need to do. Networking is not enough anymore. Knowing who’s hiring won’t get you a seat at the table. Having the right skill set is only a fraction of what it takes. People with masters and doctorate degrees are having trouble finding work. We happily share the formula for the secret sauce. Check out the job seeker services on our website. We’re going to make a few changes over time to revamp our site. We’ll unveil something soon that takes advantage of new technology available to us in the cloud. In the meantime we’re also going to stay true to the roots of our beginnings. Power to the voice of the people! Join our online community. Here are some topics for upcoming articles you’ll see. Consultant vs. CIO, WIFM (What’s In It for Me)? If you can think of another topic you want to hear more about, put the word out in the community. Don’t wait to hear it from me. That’s one of the things I like about Blacks Gone Geek. There are many voices, people just waiting to help. Just say what you want and you’ll get it! I attended the CIO Forum last week. I talked to a few CIOs but more importantly I sat on a panel and talked about cloud computing. If anybody remembers time sharing applications like IBM’s TSO (Time Sharing Option), it’s what cloud computing is all about. When you develop applications in the cloud, you don’t have to host equipment and worry about software and hardware platforms. You share the environment with other folks and reduce your costs due to economies of scale. That’s the upside. The downside is that you lose some custom capabilities. You can’t customize in the cloud like you can on your own equipment. So you have to figure out other ways to architect solutions within the constraints you’ve been given. Are there any aspiring CIOs in the audience? Blacks Gone Geek is all about promoting African Americans in IT. We do this by hosting discussions and dialogue on LinkedIn, Facebook, Twitter and Groupsite.com. Join in the discussion! We get a lot of job postings and people looking for talent. If you’re an aspiring CIO you should speak up. We have executives and hiring managers in the Blacks Gone Geek community who can help you plan your next career move. We’ve done several reports and research studies on IT career paths. Check out our research on “typical IT career paths” the link below. Are there any job seekers in the audience? I worked with a Community Career Center in Naperville and created a Job Search Work Team (JSWT) program using the Pierson Methodology. We have all of the material that you would need to start your own job search work team. We envisioned a demand for this very effective job search from community based organizations, churches, associations and non-profits. We can help you get started. And finally, are there any aspiring consultants out there? We recently started a consulting practice and our customer base has grown. We’ve successfully transitioned 9 websites from Microsoft Office Live for Small Business to Office 365 and now we’re expanding our Office 365 service offering and building our cloud essentials competencies in website development, portals/collaboration, content management and communications using Microsoft Lync 2010. We’re growing into the enterprise Office 365 platform and looking for volunteers interested in developing cloud essentials competencies. Is anybody out there? It's time for your voice to be heard! !